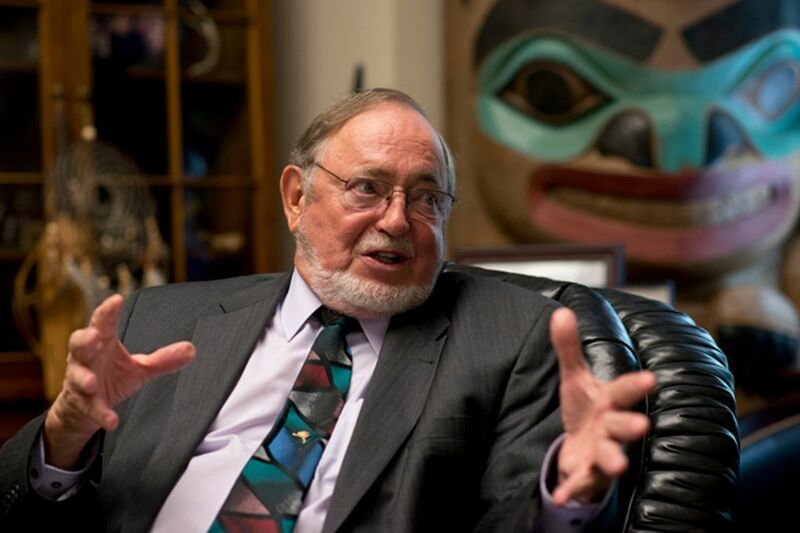 WASHINGTON — Alaska's sole congressman, Don Young, will not chair any committees or subcommittees during this term of Congress, having reached term limits in all of his prior positions. Young will retain some leadership positions and remains the longest-serving Republican in the House. Since 1994, Republicans in the House and Senate have imposed six-year term limits on committee leadership. This year, Young finished his term as chairman of the Indian, Insular and Alaska Native Affairs Subcommittee. He previously chaired the full House Committee on Natural Resources and the House's largest committee: Transportation and Infrastructure. House members serve on two committees, and Young remains a member of the committees on Natural Resources and Transportation and Infrastructure, where his own imposing chairman's portrait looks down over members from the center of the hearing room. Instead, this year Young was named "chairman emeritus" of the Committee on Natural Resources. The position allows him to sit on all five subcommittees, which oversee federal lands and the resources located on them, oceans, Native affairs and related investigations. Young took a positive view on the change, saying it would allow him to take the lead on reauthorizing fisheries legislation and promoting drilling in the National Petroleum Reserve-Alaska and the Arctic. "As we move forward with an aggressive agenda to unleash our nation's energy potential and begin streamlining a growing patchwork of federal policies, I look forward to my new role," Young said. "I am confident this new role will give Alaskans an even stronger voice in Congress by allowing me to shape policy on all five of our subcommittees." Young will continue to sit on three subcommittees on the Transportation and Infrastructure Committee: Coast Guard and Maritime Transportation; Highways and Transit; and Aviation. The congressman will also represent that committee on the Republican Policy Committee, which advises the House Republican Conference.